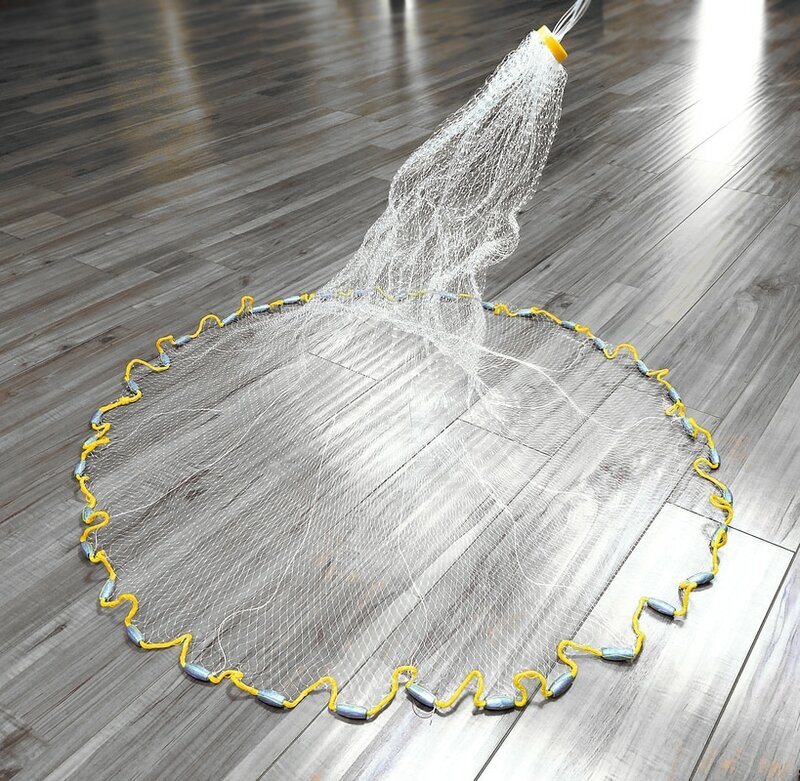 Cast Nets - Taitex Enterprise Co.
​The cast net is a very labor intensive product, depending on the amount of work & process put into the net, there can be a big difference in quality. All Big Mouth cast nets are still made according to the old traditional way, the panels are patched by hand tied knots on each mesh not just thread thru, the meshes open up completely into square shapes as they should be from a special treatment done to the netting. These in-turn will ensure a completely opened cast net. Other than the old traditional way, we continuously develop & improve new parts & craftsmanship in the making of our cast nets, such as the patented gathering ring which is made from reinforced polyethylene that can seal the ring permanently to the net, there will be no more loose rings. Big Mouth cast net also features mono brail line, heavy duty nickel crane swivel, and extra long braided heavy duty polypropylene hand rope. Available in both nylon multifilament and monofilament cast nets. Casting & maintenance instruction sheet is enclosed in each cast net. Each net is packed in a plastic tackle box, 5 or 10 per carton. CA430 Nylon Cast Net, 3' x 3/8"
CA435 Nylon Cast Net, 3-1/2' x 3/8"
CA440 Nylon Cast Net, 4' x 3/8"
CA445 Nylon Cast Net, 4-1/2' x 3/8"
CA450 Nylon Cast Net, 5' x 3/8"
CA460 Nylon Cast Net, 6' x 3/8"
CA630 Mono Cast Net, 3' x 3/8"
CA635 Mono Cast Net, 3-1/2' x 3/8"
CA640 Mono Cast Net, 4' x 3/8"
CA645 Mono Cast Net, 4-1/2' x 3/8"
CA650 Mono Cast Net, 5' x 3/8"
CA660 Mono Cast Net, 6' x 3/8"
CA670 Mono Cast Net, 7' x 3/8"
CA680 Mono Cast Net, 8' x 3/8"